“Dr. Weingarden is one of the finest Periodontists I know. His special training was at the prestigious University of Pennsylvania Department of Periodontics at a time when so many of the faculty were known internationally as tops in the field. As any true professional Dr. Weingarden’s education only began there and he has since built a renowned center for Periodontics and Implant therapy in the greater Pittsburgh area. He is known for his vast experience in Diagnosis and Treatment planning which is the basis for all medical treatment. His kindness and his compassion trumps everything in how he relaxes and educates his patients about their condition and treatment. He has built a staff around him that is totally dedicated to patient understanding and comfort. Throughout the years he continues to take and sponsor courses to improve the technology and knowledge to help his patients improve their medical and dental health with a real team approach. “I had a unique opportunity to work with Dr. Weingarden for over ten years when our offices were in the same building. I spent more time observing in his office than any other dentist that I am aware of. His practice is truly extraordinary and reflects his attention to detail in every way. When patients call or walk into his office, they are greeted by a team committed to excellence. 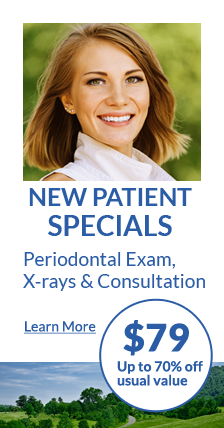 Dr. Weingarden and his team are well versed in the latest research and utilize state of the art materials, techniques and equipment to deliver outstanding periodontal care and dental implants for their patients. I refer patients to Dr. Weingarden because I know they will be treated with first class service, compassion and exceptional skill. “I am a recently retired dentist and had an office near Dr. Weingarden for 40 years. My appreciation for him and his office began 25 years ago and has since grown. He has treated many hundreds of my patients and has done thousands of procedures with results that have been excellent. He and his staff practice techniques that are performed with skill, advanced technology, operating room sterility, and loving care.